In Fiore there are a number of families that have power and control in the country. Fiore has three powerful clans that rule in the shadows and have control over most of the country. Those clans are the Vastia,Valkryia and Dragneel. Made from the famous wizard Lyon Vastia. The clan of the Vastia has a strict rule of strength and genius. Their wizards are known for their incredible genius but also the use of their magic. The Vastia family special is unique maker magic, there is a wizard who can even use spirits as maker magic, they are also skill in a form of weather or cold magic. The fact that everyone has to be a magic genius and have these two special traits make them a high threat to others. It is the amount of money that helps keep the country afloat it makes them another threat. The Vastia have a number of clans who work under them but no branch family. Also Vastia hair color are blue and white only. It is said that they come from the line of Cheney however it is unknown. The Valkryia clan has come and taken control through their power,brains and advance. Every child who is born in the clan has to be trained in one of the five marital arts they have master, they have to be trained in swordsman style of the Valkryia and have to master one of the three styles, they must also go and find a creature tame it and bring it under control. One must do all three before becoming an official member of the Valkryia clan. Known for being geniuses and having an insane amount of magical power in terms of both strength,smarts and numbers they out do the other two clans. They have no branch family nor do they have any other clans work under them. Out of all the clans the Dragneel have changed the most. 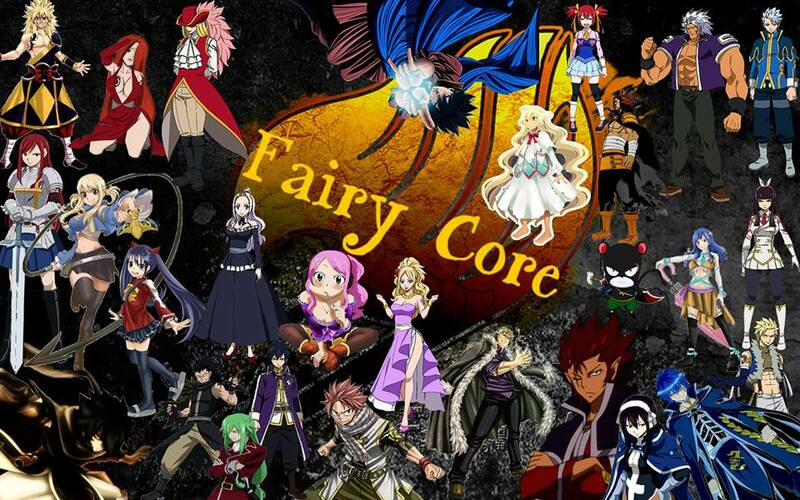 Unlike Natsu they are split between the main branch and warrior branch. The main branch are the children of Natsu and someone with blonde hair. They all have pink hair and only use fire magic. The main branch have such large amount of magic that it burns, they all are powerful wizards in fire or other types of heat magic and fighting magic they do not believe in weapons or psychic magic or anything of the sort. The warrior branch is a mix of Natsu children and Erza. Normally they come in red hair. They have been trained in sword or any other type of weapon by their parents of the leaders of the branch family. Trained in fire dragon slayer magic they call it something else each having their own name for it and using it in a different way from the last user. When it comes to strength they have more pure strength then the main branch, but not as much fire strength or large magic power as the main branch. They only come in red hair. The main branch and warrior branch work together and get along great but those in the Dragneel clan who do not use fire magic, who are not a dragon slayer and do not use any type of support or powerful strength magic are not called Dragneel's and treated as outcast of the clan never to be able to return home. They run the country by pure force and nothing else. The Dreyar family has been around the longest of all of the families. Since the time of Fairy Tail first guild master and all of family members share a number of thing but the two being their Monster Strength in Magic and Genius. The Dreyar family has taken pride in having a massive amount of magic in their body, they also take pride in being very smart all of them are some type of genius or at least very cunning. They all have at least one signature magic no matter what it is and they hair color consist of blonde and black. As there is the Dragneel family there is the Redfox family. Made up of only a main branch the Redfox family is a family featuring only black hair males and females. They have a ritual for both the young man and woman. At the age of twelve the boys are thrown down a large mountain into a forest of monsters. They must come back with three heads of a monsters or they are not recognized as members of Redofx. The females at the age of fourteen are taken in the night and left in a far distance mountains they must find their way back home while battling all of the monsters and wizards who wish them harm. Each member has melee combat magic or a material type magic. Coming from Gray Fullbuster his family has been well just train in two elements. They have been taught ice magic and water magic. This comes from Gray and Juvia relationship in the future. The members of the Fullbuster family are a mix of both the Fullbuster and Lockser children. They all share the name Fullbuster and like stated before are taught either ice or water or the both of them. They can turn their body into a liquid or solid this comes from Juvia. The lucky members of the clan are taught Ice Make magic. Each member is also taught how to use various weapons just like Gray. Most interesting of all is the Scarlet family. Those who are born into this clan have red/scarlet hair. Those are the pure bloods of the clan. They are trained from both to use Requip magic, they are trained daily in swords,spears and various other weapons, each of them are amazingly strong and proud but this comes from the massive amount of training they have done. Those who are not born into the clan of Scarlet are the selected members. They are warriors who had proven their skill with weapons, who have beaten the odds, who have strong magical power. These few are brought in tested and when they pass their hair is dyed and name changed.